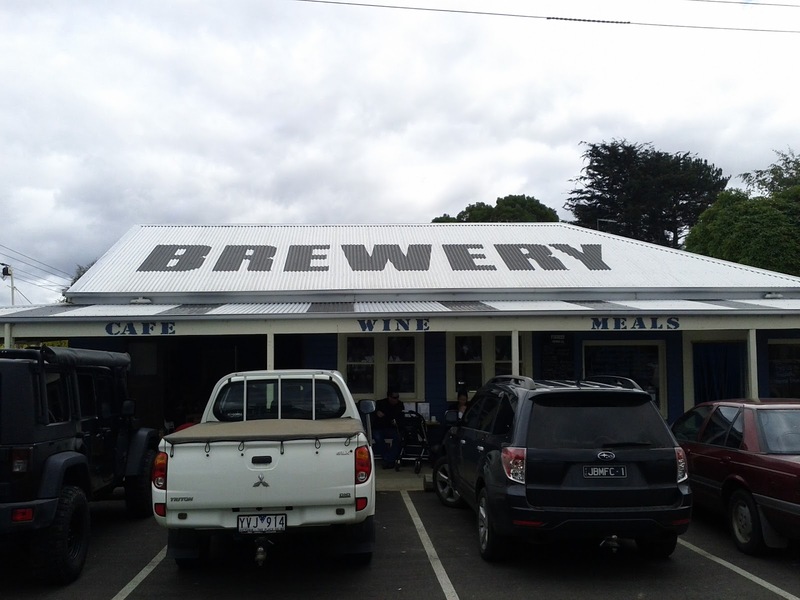 The Forrest Brewery in the Otway hinterland town of Forrest, north of Apollo Bay is a combination of microbrewery and eating place, established by siblings Matt and Sharon Bradshaw in the rebuilt general store in 2010. We stopped in for lunch on Easter Monday to break up our trip back to Melbourne. Inside it was fairly busy with quite a few families, we found a small table outside and perused the special holiday menu. 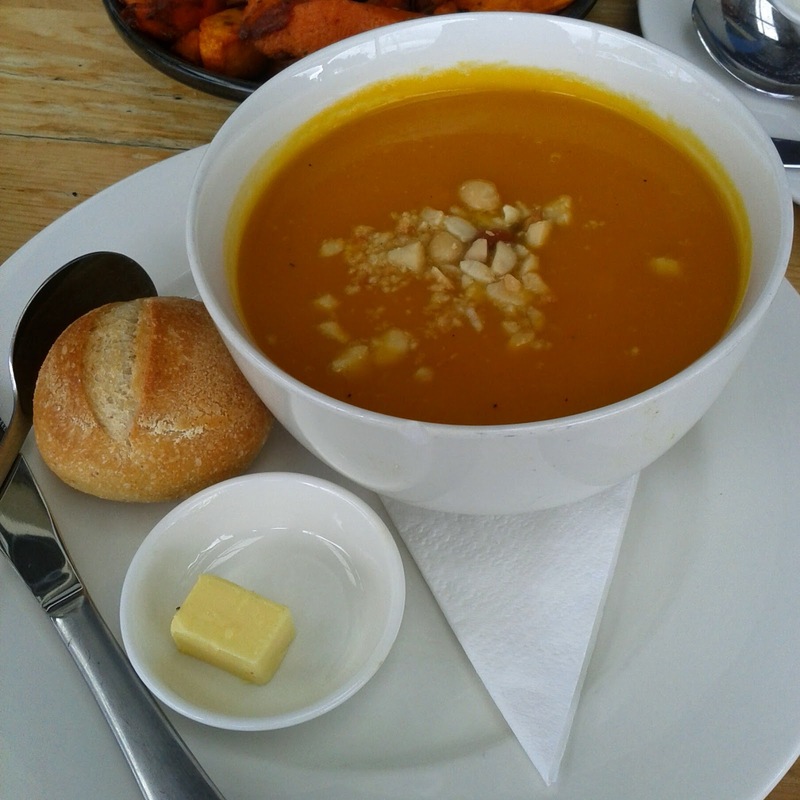 The pumpkin soup came topped with macadamia nuts, which added another dimension to a well executed classic, the sour dough roll was small and perfectly frmed. 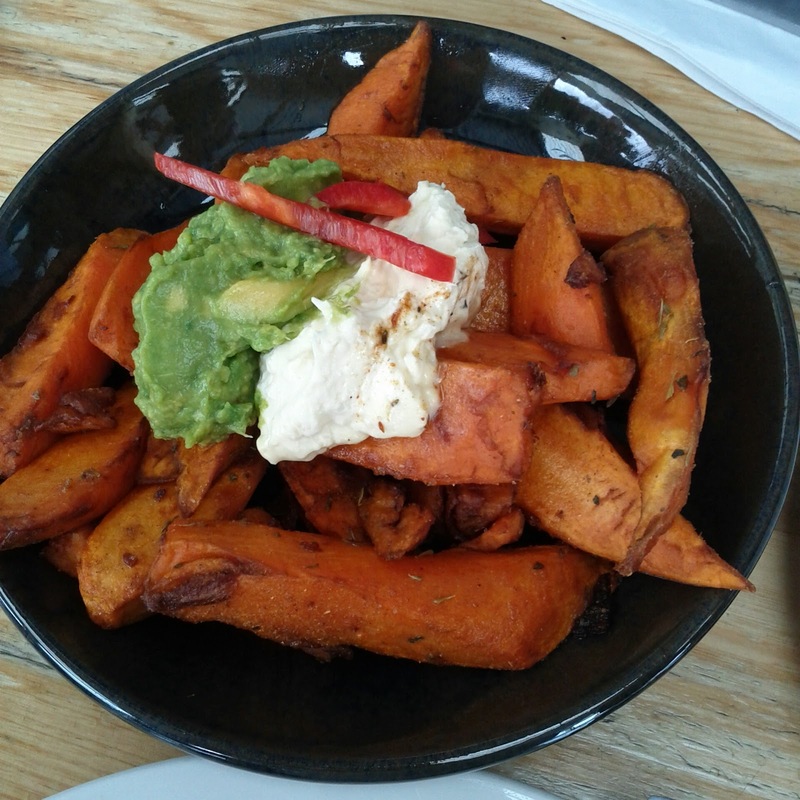 We also shared the sweet potato wedges, which came topped with avocado and sour cream. The wedges had a roasted feel about them and were very warming and satisfying. Given the queue when I ordered the service was surprisingly fast if a little haphazard, we were offered a couple of other items before our order arrived! I'd tried the Pale Ale a couple of nights earlier and had been impressed, but with plenty of driving ahead it wasn't the time for another, the coffee however was good. 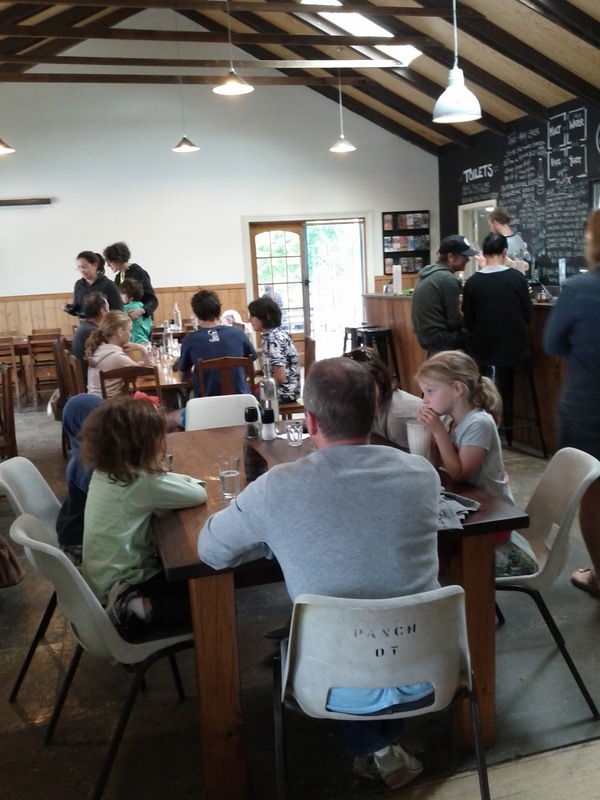 It is certainly worth stopping in if you are passing through!